Dear Friends: Welcome to your very first Letter From Windermere, an old-fashioned letter from my house to yours, a collection of news, notes, and nostalgia where I chat about my interests, my travels, and my writing life. After five years, during which I wrote 103 wartime stories, I bid farewell to Wartime Wednesdays in 2018. You can still find them all by clicking on the index on the lower right side of this page. Lake Windermere is located in the southeastern corner of British Columbia. It forms the headwaters of the mighty Columbia River, which flows through the province and across the border into the United States, emerging into the Pacific Ocean. Around Lake Windermere are clustered a number of smaller communities, but people from outside tend to refer to this whole area as “Windermere” or “The Windermere.” My home is located on the western side of the lake, and I admire my view of Lake Windermere every day. 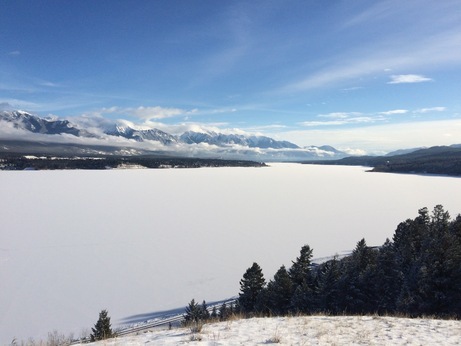 Although my proper mailing address is Invermere, I decided to adopt the name Windermere because it is more historic, being named after the famous Lake Windermere in England. 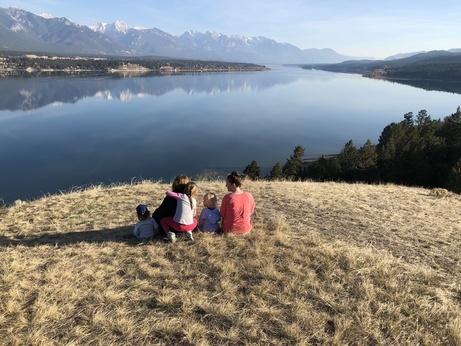 The above photo shows me with my daughter and three little granddaughters, seated at one of my favourite views of Lake Windermere, about a twenty-minute walk from our house. We call it “The Lookout,” and we walk here often throughout the changing seasons. The photo below shows the same view in winter. 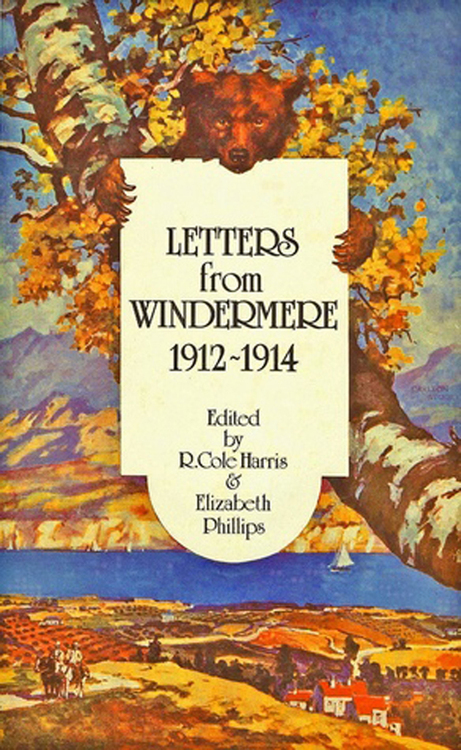 I also chose the name because there is an actual book called Letters From Windermere, written by a true pioneer named Daisy Phillips. 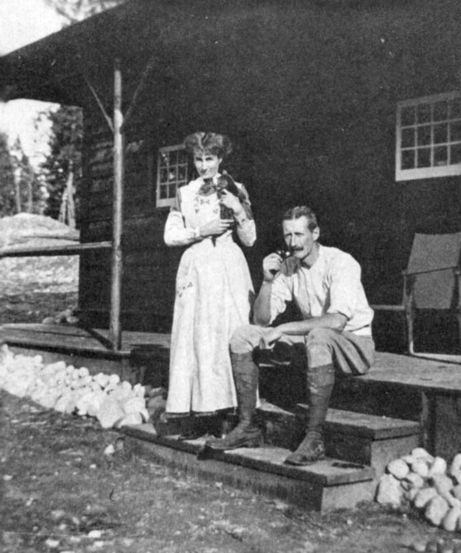 She and her husband Jack came out from England to this area in the early days, and Daisy faithfully wrote home to her family describing her adventures in Canada. When the Great War broke out in 1914, they sailed back to England with their baby daughter, and Jack joined the fray. Sadly, he died early in the war and Daisy never returned to Canada. 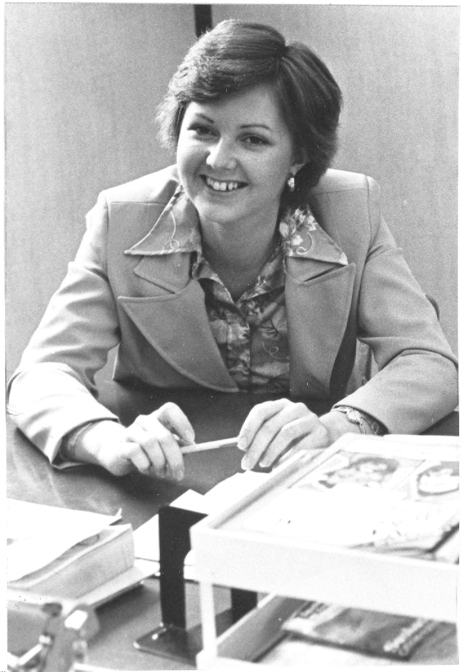 Her letters, however, were preserved and eventually published by the University of British Columbia. Daisy, shown below with husband Jack at their little homestead in the mountains, was just the sort of pioneer I envisioned when I created my heroine Mary Margaret in my own novel Wildwood – plucky, adventurous, and determined. I hope to follow Daisy’s lead and make my own Letters From Windermere interesting, too. Firstly, however, I have a confession. My first Letter From Windermere is arriving to you from Mexico! I say guilty, because it seems so un-Canadian to desert my homeland when the going gets rough, especially when I have written an entire book about the struggles of the early pioneers in northern Alberta! 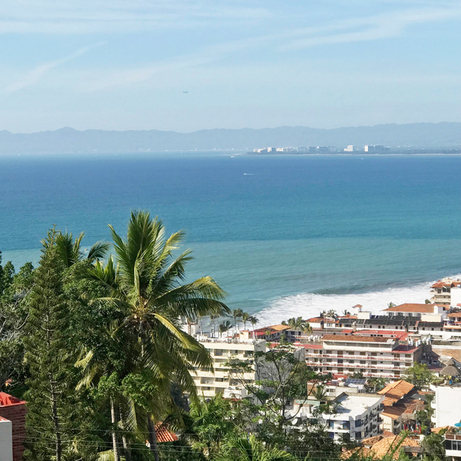 However, this is the fourth winter that my husband and I have rented a condo for eight weeks in the old city of Puerto Vallarta, where we revel in the climate and the local culture. If you're familiar with the city, our condo is located just south of Zona Romantica, straight up the hill from Los Muertos Pier. And this is my view! 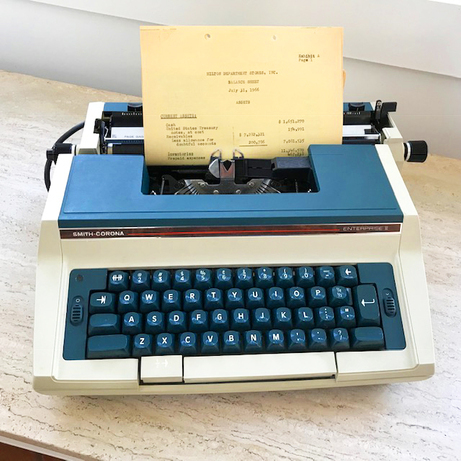 In each letter, I will share with you some of the many lovely vintage items dear to my heart -- in this case, an electric typewriter inherited from my mother, who died in November 2017. 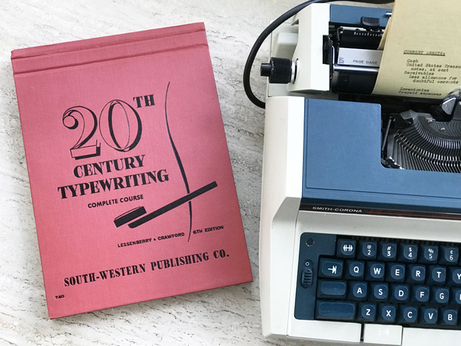 I'm old enough to have learned to type on a manual typewriter (that's a mechanical typewriter, without electricity) in high school. When electric typewriters were invented, we thought they were the very latest in technology! 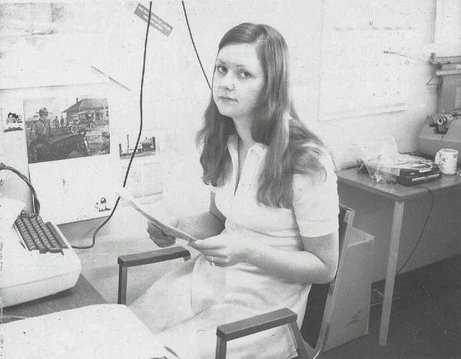 Here I am looking rather disgruntled, at my very first job in 1972 -- as a reporter for the Battlefords Advertiser-Post in North Battleford, Saskatchewan. Note the fancy new electric typewriter on my desk. A few years later, I moved on to the Western Producer in Saskatoon as a farm reporter. Many a compelling article about bull sales and grain prices were hammered out on my typewriter there! You can just see the corner of it on the lower left. 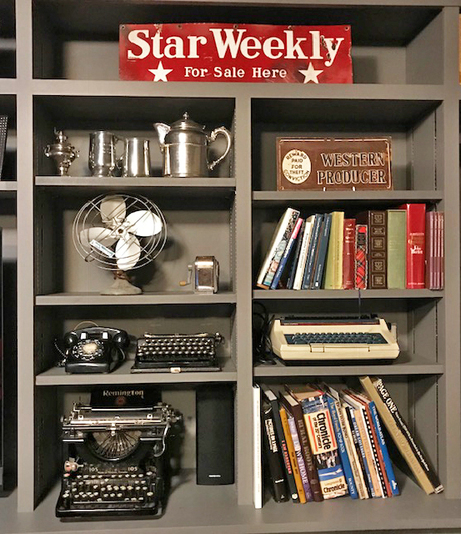 On my bookshelf at home, I have a couple of manual typewriters as well as a dial telephone, a vintage fan, a pencil sharpener, two old metal signs, and my "new" electric typewriter on the right. My eye is always drawn to images of old typewriters! 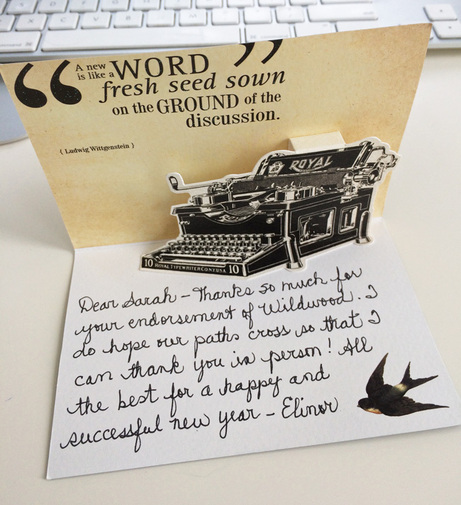 I was thrilled when I found these pop-up typewriter greeting cards, which I use as thank you notes. 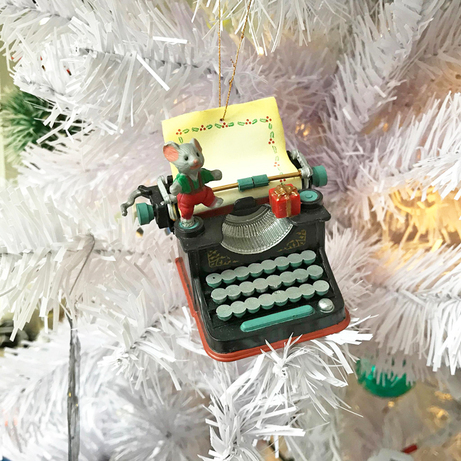 I even have a wee vintage typewriter Christmas tree ornament. 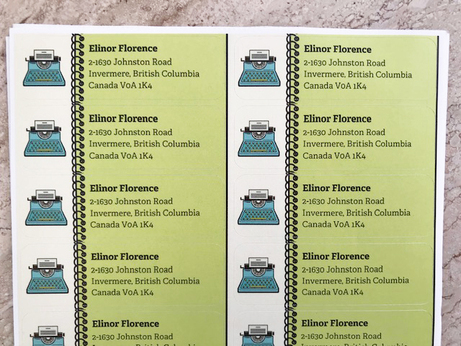 There's a typewriter image on my address labels. Now that you have my address, write me a real letter! Friends, do you remember using a manual typewriter? Since I became an author, people always ask me what I'm reading. I often feel that they expect some highbrow answer. No, I'm not reading War and Peace. 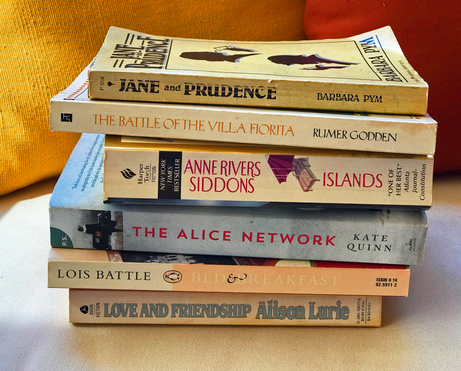 In fact, I devour an eclectic mix of literary fiction, women's fiction, chicklit, humour, and mysteries. 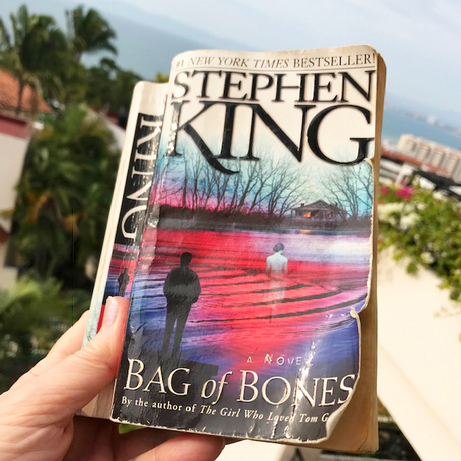 I found this weatherbeaten paperback at my condo and I really enjoyed it, in spite of scaring myself half to death late at night! Since I arrived here in the new year with a terrible cold (which finally disappeared after three weeks), I have done almost nothing except read. I grabbed these old novels off my bookshelf at home and stuffed them into my suitcase at the last minute. Now that I have finished all six of them, I'll start downloading digital books onto my ipad. I read both ebooks and "real" books and I don't mind which format, as long as I have something to read. Friends, do you prefer digital or printed books? As for this pile, I would recommend them all except Islands, which was pretty dull. The Alice Network was a Christmas gift, and it has lived up to its five-star rating. I'm active on the website called Goodreads, and I post a review there of every book that I read. You're welcome to follow me on Goodreads or send me a Friend request by clicking here: Elinor Florence on Goodreads. One of my favourite things to do in Mexico is to haunt the fabric stores. Most Mexican women are still sewing, unlike Canadians, so the stores are well stocked with inexpensive material and notions. Last year I brought home enough fabric to sew a Christmas tablecloth that was 20 feet long! Now that we have FIVE grandchildren, we use two eight-foot tables pushed together for family dinners. Of course, I could hardly carry my suitcase on the way home, because fabric is so heavy! 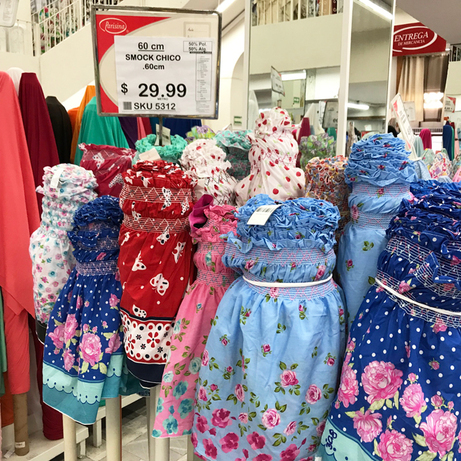 In the photo below, this pre-smocked fabric for little dresses costs $29.99 pesos, or about two dollars per metre. I am sorely tempted. I know many of you enjoyed reading my wartime stories, so in each letter I will mention a story that you might have missed. 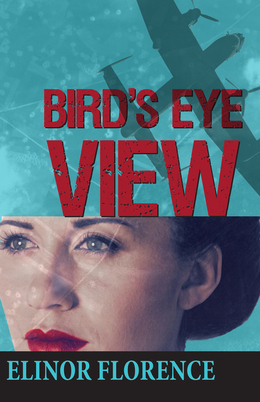 This is Constance Babington Smith, an aerial photographic interpreter who inspired my heroine Rose in Bird's Eye View. 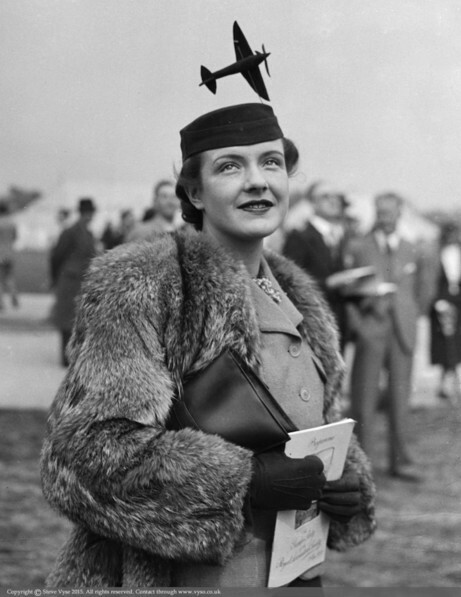 Here she is pictured after the war, wearing a hat of her own creation with a tiny aircraft attached, to an aviation show in England. To read more, click here: The Woman With the X-Ray Eyes. 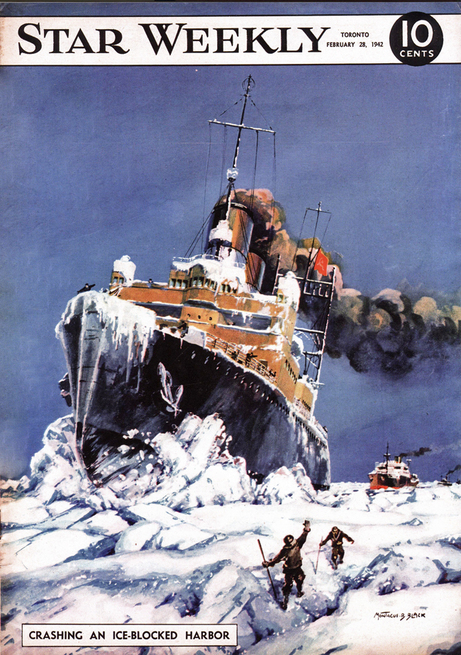 I have almost exhausted my supply of Star Weekly covers, but it seemed appropriate for January to show you this image, created by the wonderful wartime illustrator Montague Black, of a Canadian ship locked in the snow and ice. To see my whole collection, click here and scroll to the bottom of the page: Star Weekly at War. I know authors are supposed to churn out a book every two years, but I haven’t started anything new yet. I need to recharge my batteries after an extremely busy year in 2018 – including the launch of my pioneer novel Wildwood, followed by lots of travel and book signings; the births of two new grandsons born just six weeks apart; and my mother’s memorial service in Saskatchewan, plus all the work of wrapping up her estate. What I am THINKING about is a sequel to Wildwood. Please let me know if that would interest you. I've given up my monthly column in The Senior Paper. This was a real wrench, because the newspaper is widely read by people who don’t like using computers. After my announcement in the December issue, I received phone calls from 37 people right across Canada ordering my books – ALL of them people who don’t use a computer, or don’t want to order books online. Sadly, I found that writing my column on top of everything else was too much work. No matter how many complaints and alarms are raised about Facebook, I have found it to be a splendid way of keeping track of old friends, and making new ones. 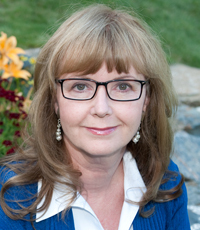 To follow me, simply click here and "Like" my page: Elinor Florence-Author. Of course, you can always contact me the old-fashioned way, by letter or by telephone. Click here for all my info: Contact Me. Friends, I won't be sending Letters From Windermere on the same day each month, as I'm weary of deadlines -- but you will receive a letter every month. Remember, you can subscribe by entering your email address in the little yellow box on the right side of the page, or drop me an email and I can do it for you. You are also free to unsubscribe any time. I hope you are having a VERY happy new year so far. I look forward to hearing from you.